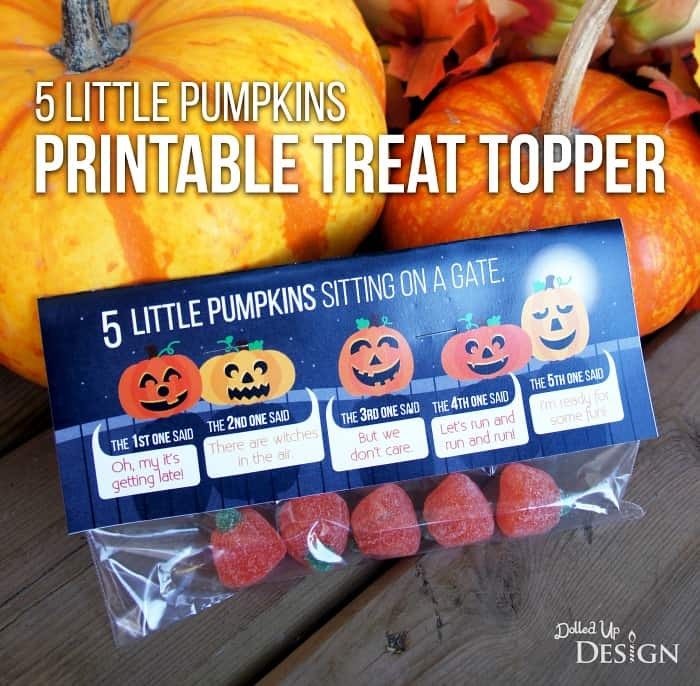 This 5 Little Pumpkins Printable is courtesy of our contributor Chantelle of Dolled Up Design…Halloween is just around the corner and today I am sharing a fun little idea for a party favour or treat to share with friends and classmates. 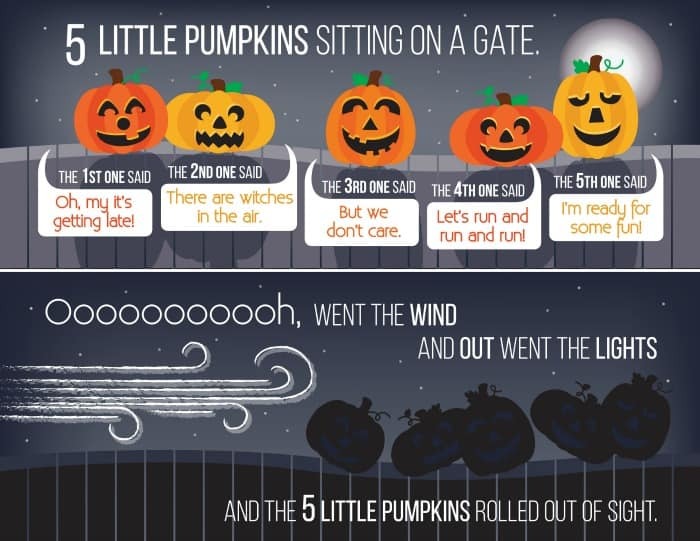 If you have a young child, you have likely heard the cute little Halloween poem 5 Little Pumpkins. My 5 Little Pumpkins printable treat bag topper incorporates this fun poem with your choice of pumpkin shaped treats. 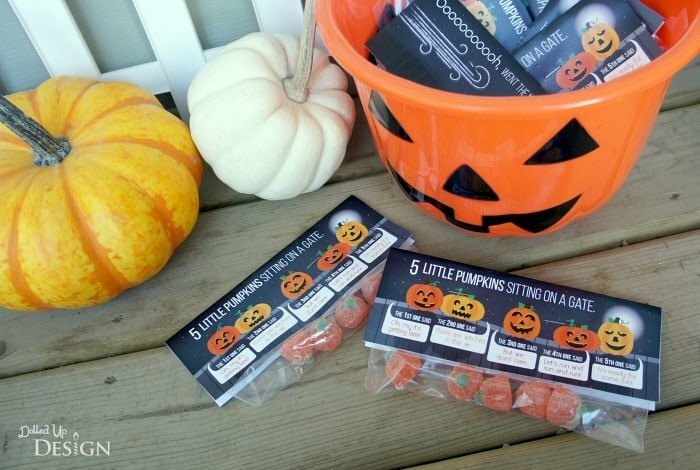 To make these treats, all that is required are some snack sized zipper seal bags, pumpkin shaped candies, and this free printable file. 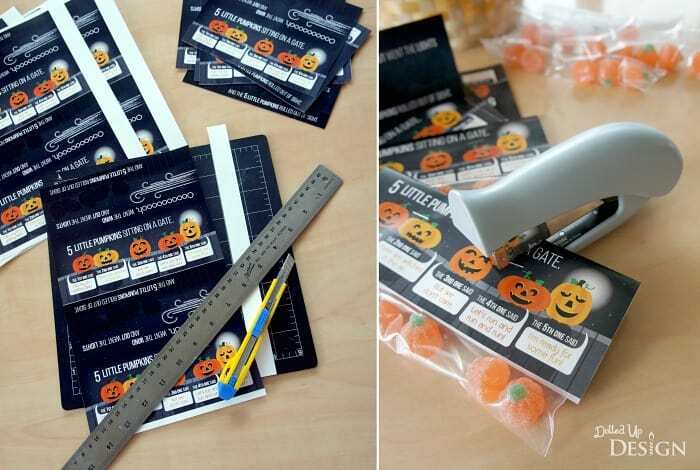 To assemble, simply cut out the printed toppers, fold over and staple on to the top of your treat filled bags. The choice of treat is up to you. I chose to put 5 pumpkin shaped jelly candies in each of the treat bags I sent in to school with my children, but small foiled wrapped chocolates or mallowcreme pumpkins work equally well. 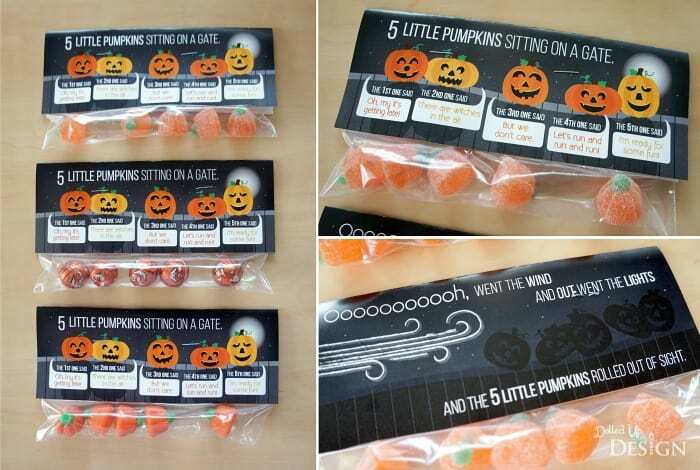 You could even use a sandwich sized zipper seal bag and put in 5 pumpkin shaped sugar cookies. 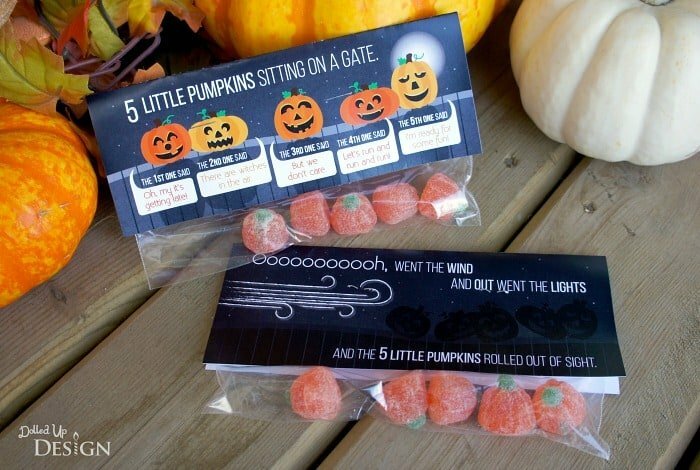 Have the kids help you count out the pumpkins to put into the bags and have fun making these treat bags together. They can easily be made up ahead of time and have ready to hand out at class parties or to friends in the neighborhood. We’d like to send a big THANK YOU to Chantelle for sharing this cute printable with us! Her parties are always easy to recreate and kids love them! Be sure to follow her on Facebook to stay updated on all her fabulous ideas.